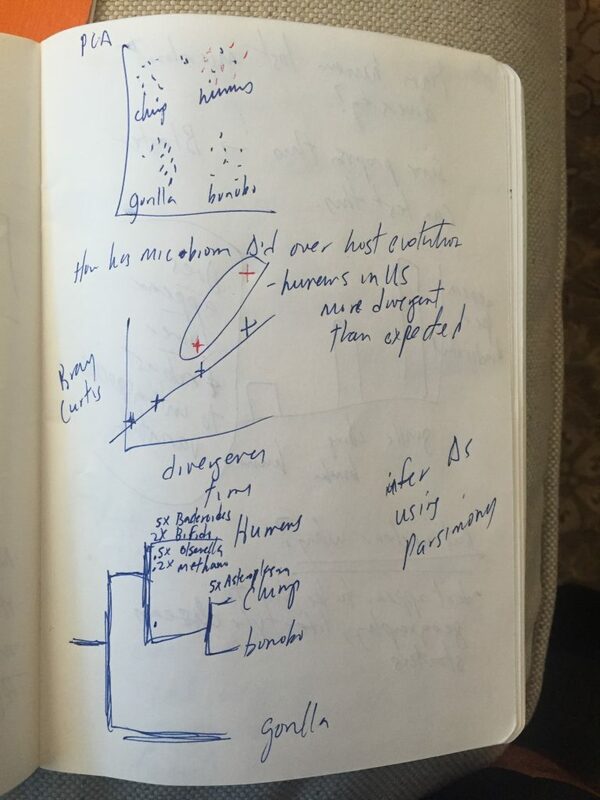 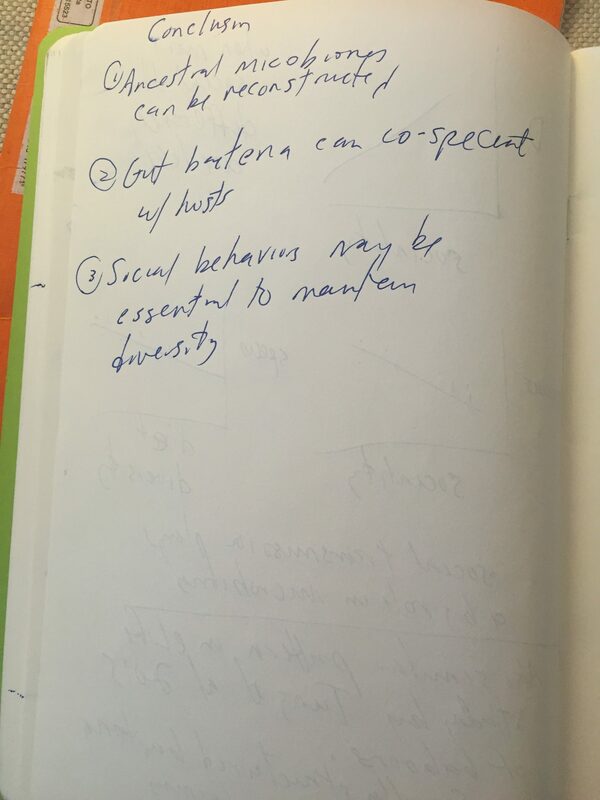 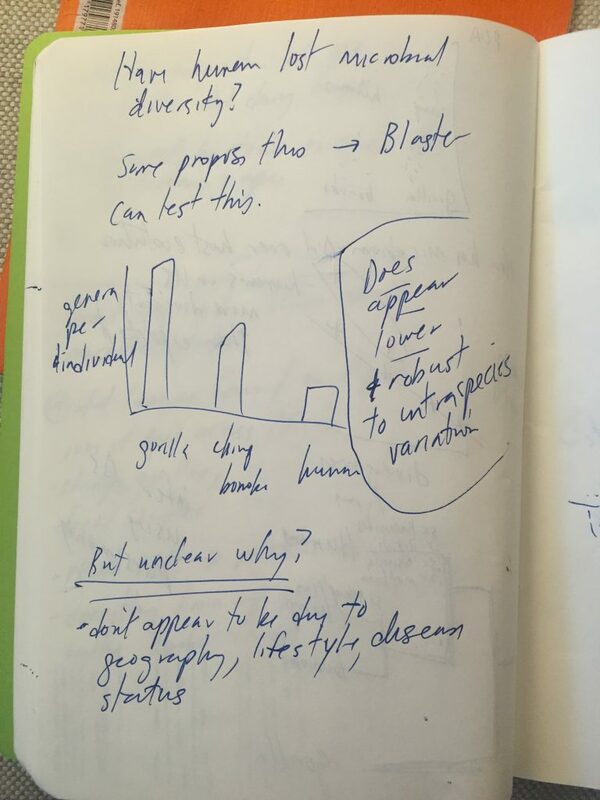 Notes from talk by Andrew Moeller on “Evolution of the human gut microbiome” – microBEnet: the microbiology of the Built Environment network. Andrew Moeller gave a talk at UC Davis Tuesday on “The evolution of the human gut microbiome”. 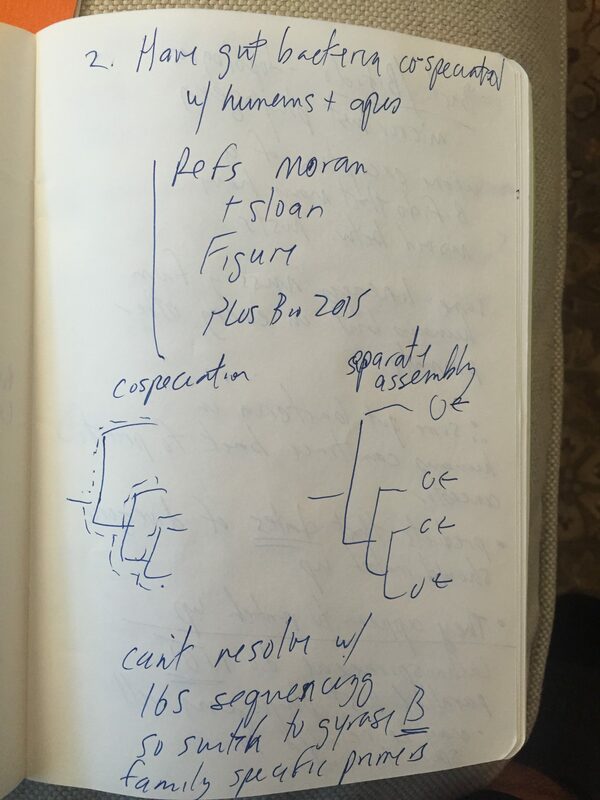 He is a post doc at UC Berkeley working in the Nachman lab. 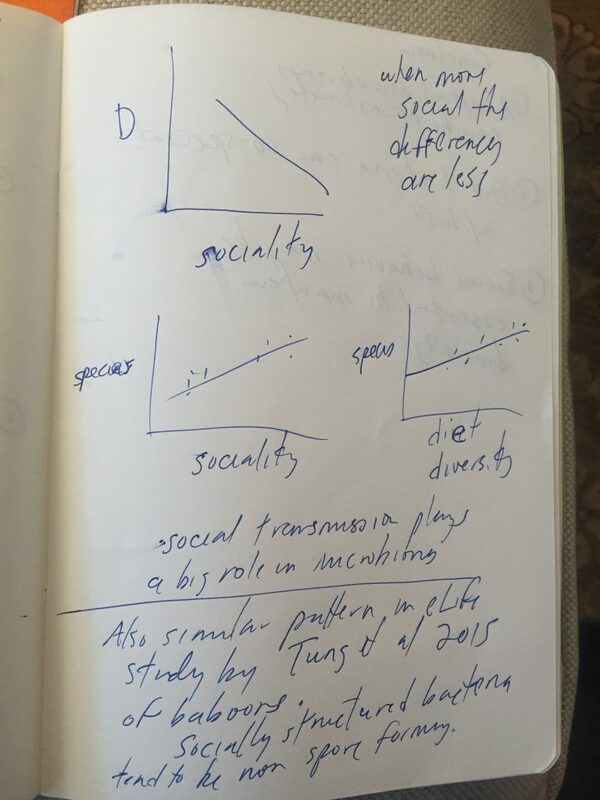 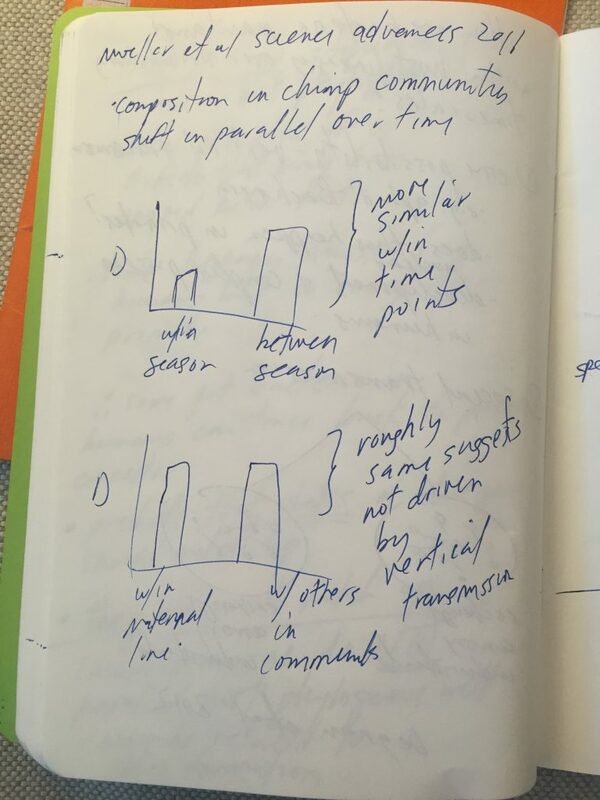 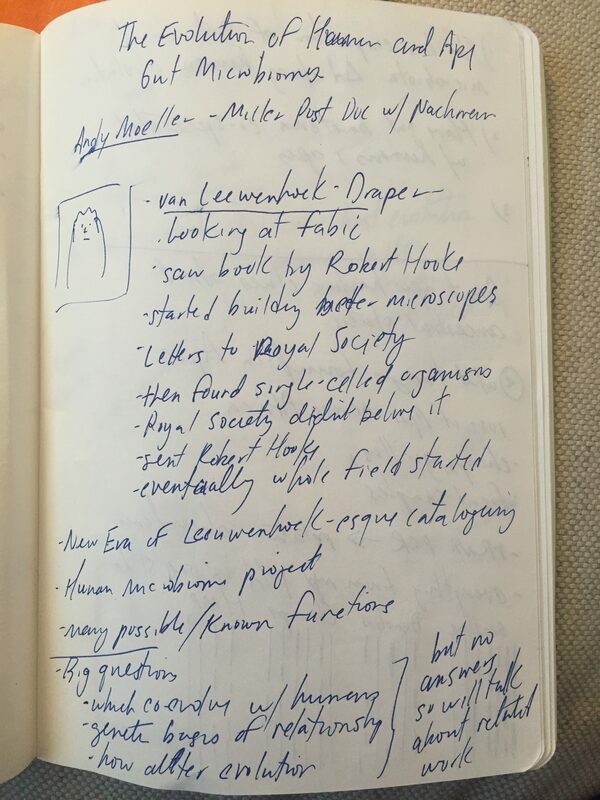 I did not have a working computer so – gasp – I took notes with paper and pen. 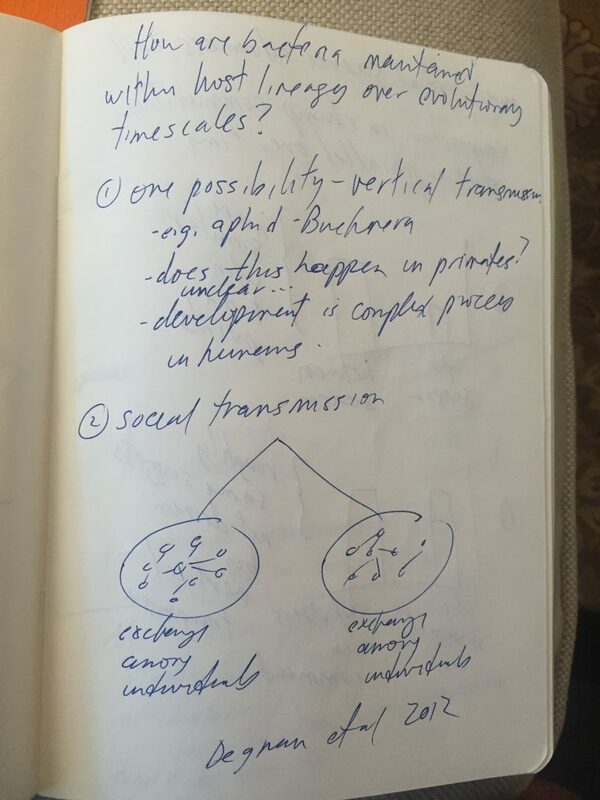 The talk was quite interesting and I thought some people might find some parts of interest. 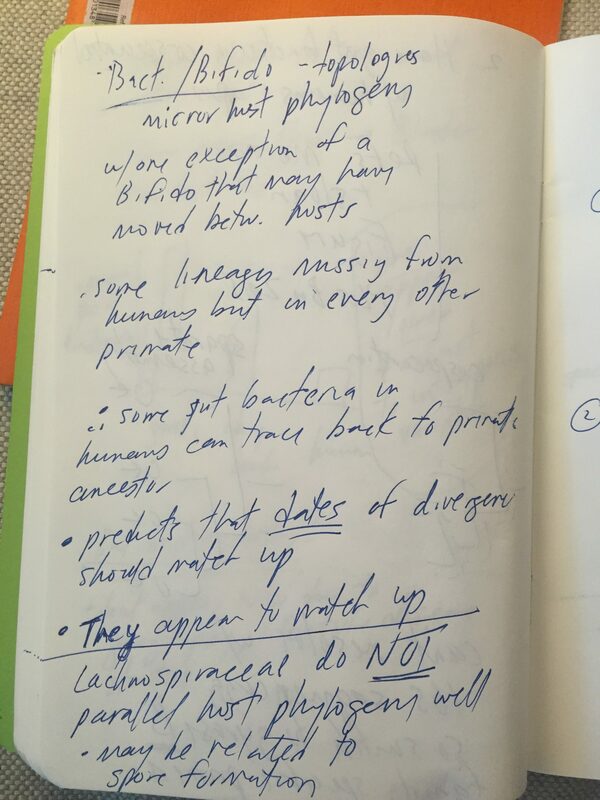 So I am posting the notes here. I note – I talked to him a bit about adding more of a “Built Environment” component to some of his work and I hope he does. 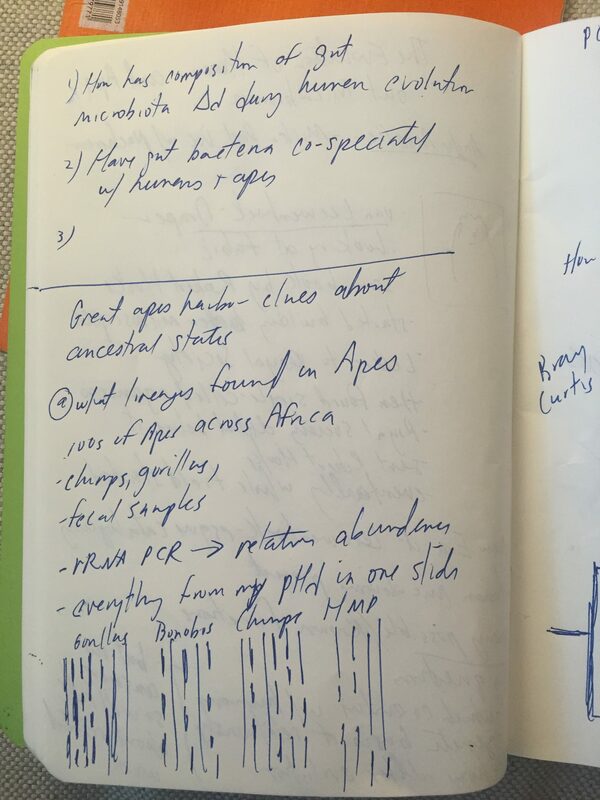 That is kind of a new mission of mine and microBEnet’s – to reach out to microbiome and microbial ecology researchers and see if there is a useful way for them to add a BE component to their work.